The low country in the United States is loosely defined as the area of North and South Carolina, Georgia and northern Florida that stretches along the eastern sea coast and consists of mainly salt marshes and barrier islands. I am not sure how to define low country (vs. southern) cuisine. From what we could see it is based on local ingredients, with the preparation strongly influenced by Gullah Geechee tradition. However you describe it, it is delicious. And we spent a lot of our time in Hunting Island checking it out. I think this market was owned and operated by the chef/owner of "We Island" Gumbo n' Tings, Rowland Washington. We met Chef Washington the first time we stopped here to purchase some local shrimp. 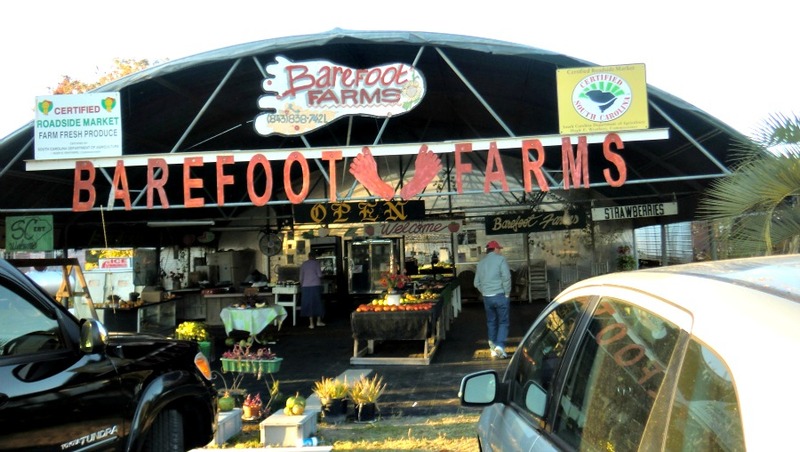 He was very modest, said he was the cook and not the chef, and that he was very uncomfortable wearing shoes but it was too cold to go barefoot. Hah!! 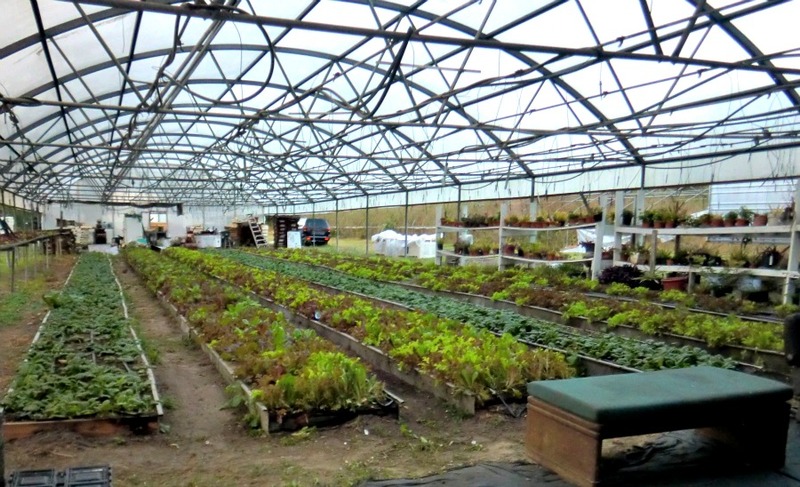 It did not take us very long to realize that, if you scratched the surface of this very modest appearing market, you would find a very sophisticated food business. And, as we learned later, a supplier to local restaurants. I asked for a pound and got (and paid for) a pound and a half. I asked the woman tending the market if I could get some lettuce. "Sure" she said "how much would you like me to cut?' "Enough for two for one meal please." I got enough for three meals. And home we went to make supper, following the chef's instructions. 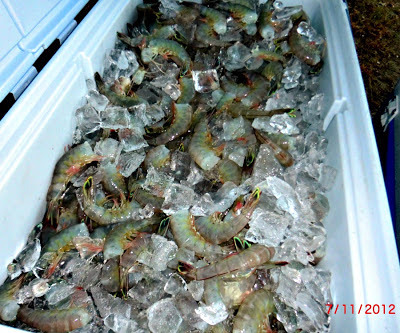 Put a small amount of water in a large pot - you are going to steam the shrimp, not boil them. Add the seasoning to the water and bring to a boil. 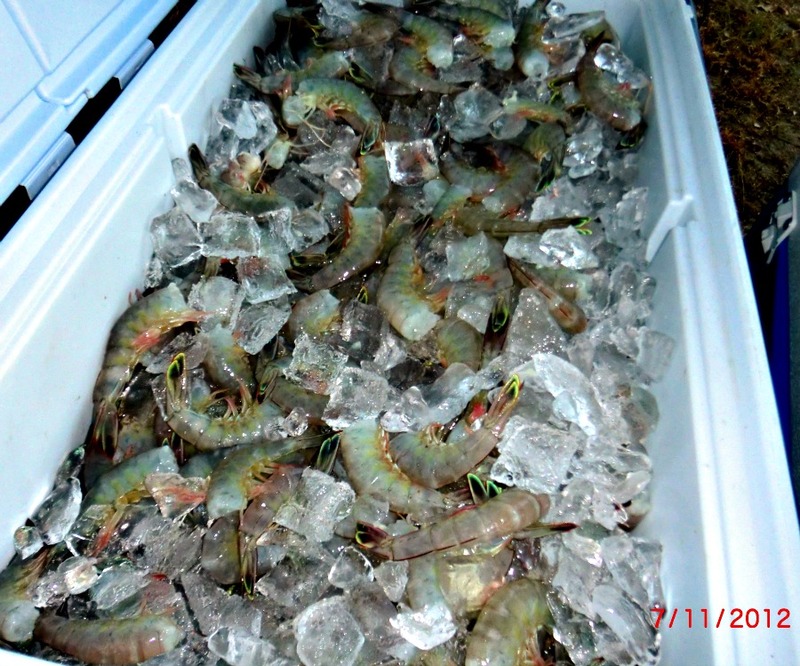 When the water is boiling add the shrimp, cover and cook until pink. Do not over cook as shrimp will become tough. Serve with cocktail sauce - do not use hot sauce. Also delicious. And enough for two meals. We had it, served with the leftover shrimp, in soup bowls the first evening and then, served over rice, the second. 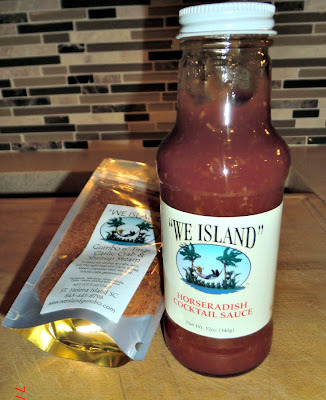 As far as we could discern, "We Island" is the term the older Gullah folks used to describe where they lived - "our home". 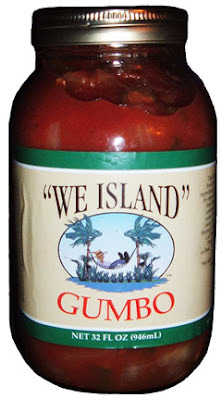 Click to learn more about We Island Gumbo n' Tings and order their products. Another evening we purchased a tomato pie - which was sold everywhere, but not Barefoot Farm, for supper. It was delicious but much to rich for our taste. Must have contained 500 calories PER BITE!! Check out Paula Dean's Recipe for it here. When we moved on to Skidaway Island State Park outside Savannah we lunched at Paula Dean's restaurant "Lady and Sons" and tried a lot more southern food - but that is the subject for another post.